Bend the eye pin so it has a slight curve. Peel off about 2.5″of duct tape from the roll. 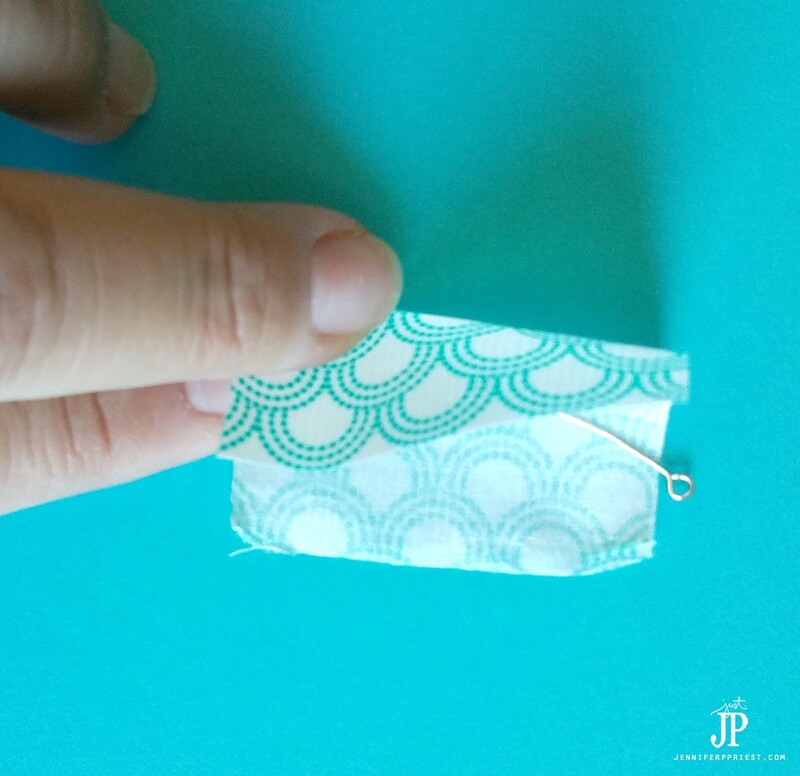 Lay the eye pin across the tape. 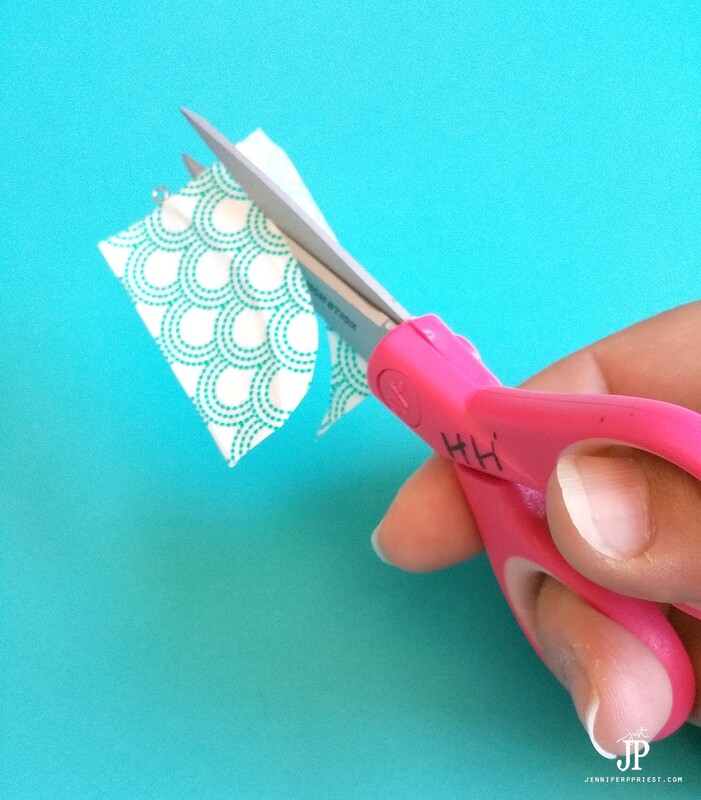 Fold the tape around the eye pin so that it is between the crease and the edge of the tape, not in the fold. 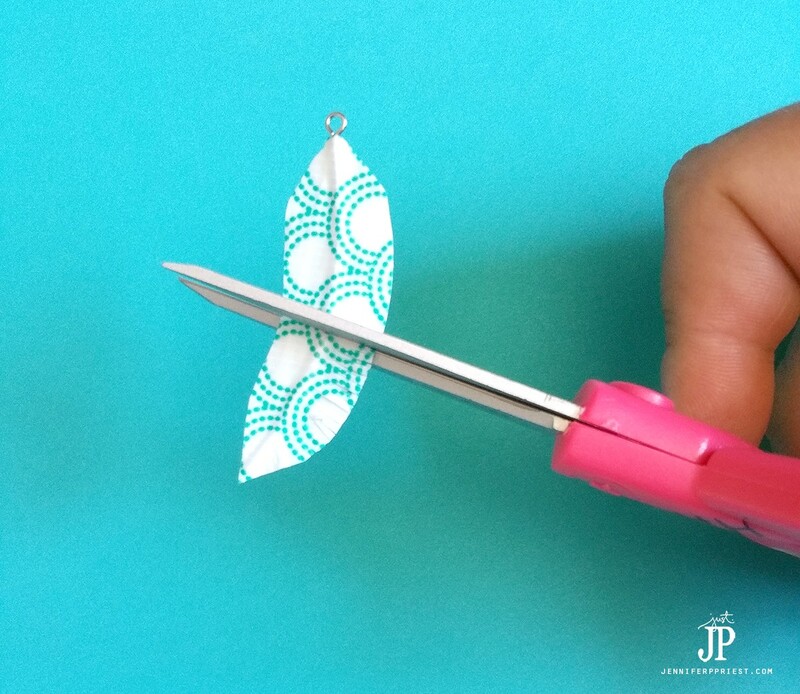 Cut around the eye pin, creating a feather shape. 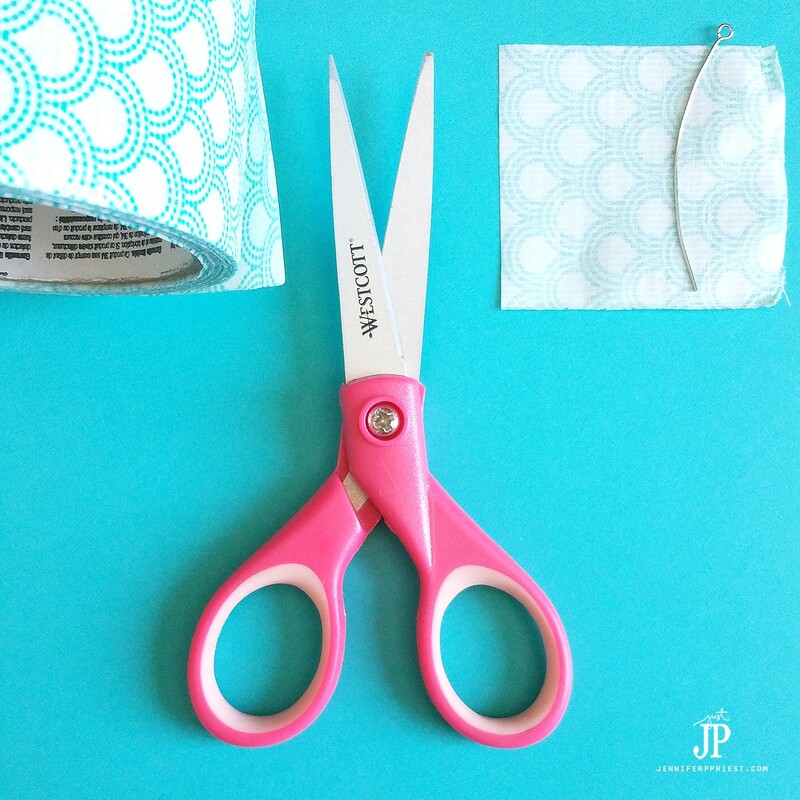 Cut slits from the edge of the tape to the eye pin with scissors to create fringe. 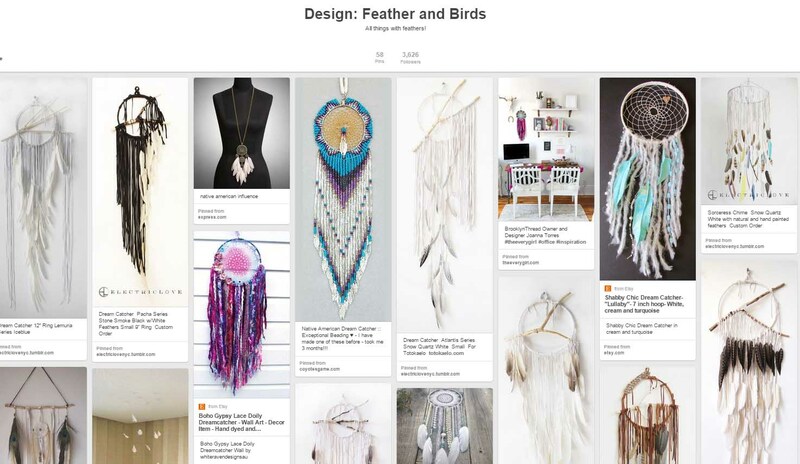 Create a few feathers from different colors of duct tape if you like. 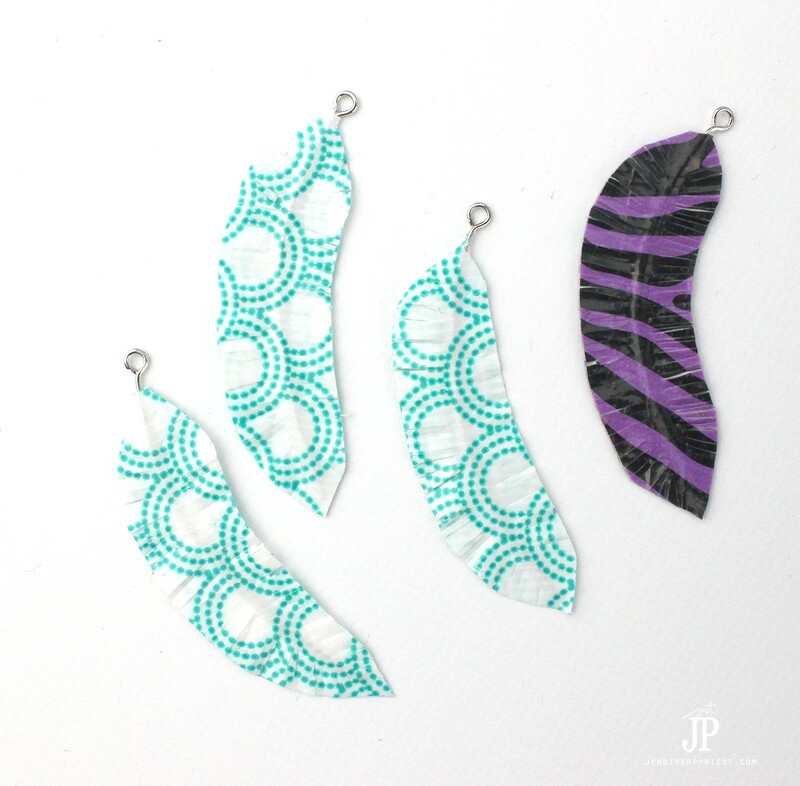 Once you have an even number of feathers, it's time to make duct tape feather earrings!